Do we really need to spend much time with search engines other than Google? 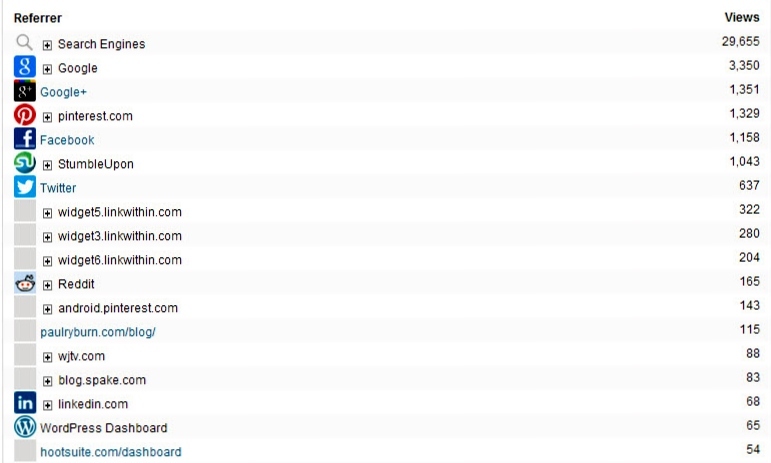 I was looking at the referral stats for one of my blogs, and was actually a little shocked at the search engine numbers. Google search sends me almost 25 times the views that Bing does – over 78% of search engine traffic. And that’s not counting Google Image Search which produced 4 times the results that Bing did. Yahoo and AOL results are almost negligible. I seem to index as well in Bing as I do in Google for my keywords and phrases, but the results just aren’t there. I am just wondering if my results are common, and if so, do I need to even think about spending time on SEO and SEM for Bing, Yahoo, and AOL. 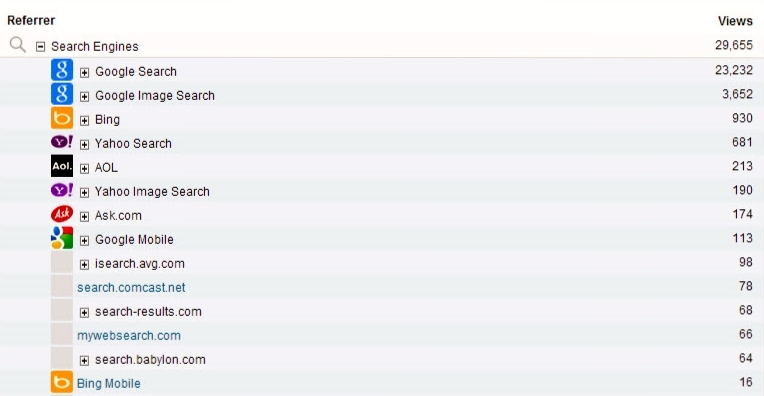 Looking at referrers outside of search engines, once again Google plays a big part. Google+ is a top referring source, followed by Pinterest, then Facebook. I expect G+ referrals to rise as more and more folks learn to appreciate the platform and find it to be a refuge from the constant exploitive changes at Facebook. I don’t pay much attention to Pinterest, but for the amount of time I spend with it, it seems to be quite a powerful referrer- maybe it’s because I pin mostly my own self-hosted images. I would love to hear about how the search engines are performing for you in driving traffic. Is this just a quirk, or are you seeing the same type of numbers? This entry was posted in Memphis, Social Media, Technology and tagged aol, bing, Google, google image search, Pinterest, search engine, sem, seo, web search, yahoo on May 10, 2013 by Joe Spake.